20th Century Fox studio has yet again delayed the release of the already complicated X-Men film, Dark Phoenix! As per the recently released trailer, the film was scheduled to open on February 14th, 2019, but now even that date has been pushed forward. And now the new, official release date for Dark Phoenix is June 7th, 2019. But it’s not the only Fox movie to get delayed. Alita: Battle Angel and Gambit have also been pushed further, by months now. The previous opening date for Alita: Battle Angel was this year’s December 21st, which has now replaced Dark Phoenix’s second revised date. The James Cameron produced flick will now be arriving on February 14th, 2019. Another Marvel project, under Fox studio, is Gambit which was planned for around June 2019, but now it’s been shifted to 2020-nine months late. It will now be releasing on March 13th, 2020. 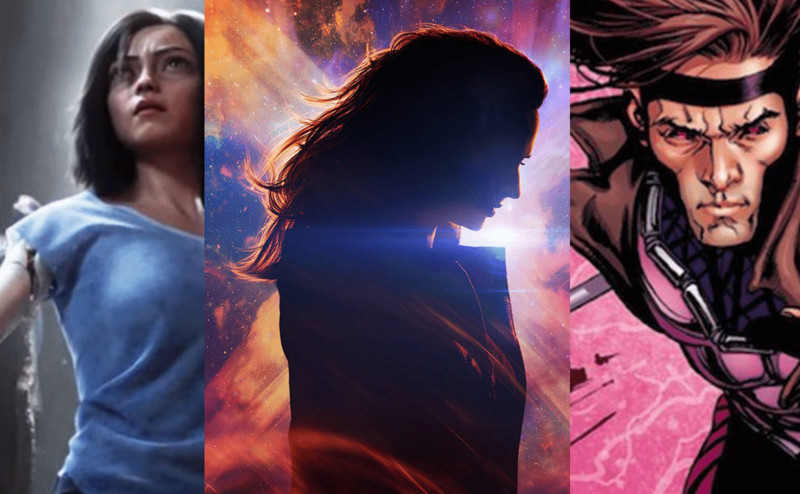 As Fox is now owned by Disney, many rumors were strong about Dark Phoenix’s fate that it will eventually be canceled or scrapped, but Disney allowed its release. But the reason for another delay, of this-probably the last-X-Men flick, is that Fox was skeptical about its box-office performance. Some reports were surfacing about Chinese markets, that the time of February wasn’t appropriate for the movie’s performance in China, as that period is the Chinese New Year, and people are less interested in foreign releases. So, maybe that is the main, good enough reason for the third straight delay in Dark Phoenix’s release. Though this is the final fixed date-hopefully. The film previously underwent a lot of reshoots also after the acquisition of Fox by Disney, and rumors also began about its association with MCU’s timeline. Many complexities have surrounded this one. As for Alita: Battle Angel’s newly revised date, the reason is the same. The earlier date of December 21st was conflicting with two other big releases of this year! One is DC’s Aquaman and other is a spin-off in Transformers series, Bumblebee. Both these movies are highly anticipated after their trailers got praises from audiences. So, definitely, the box-office collections would have been less impressive for Alita: Battle Angel, had it been releasing on the same day, with Aquaman and Bumblebee. Another Fox flick, Gambit is yet to go under production and so, it was obvious to push its opening date further. Although the makers of Gambit have confirmed that the shooting will be complete by next year’s end and it will be arriving in early 2020.